One of the simplest ways you can show your appreciation to our veterans, our brave heroes, is by taking part in our Maryland boat donations program. If you’ve been thinking about getting rid of an old boat or any watercraft, you might as well hand it over to us at Veteran Car Donations. For many of our former military men and women, readjusting to civilian life is proving to be a huge challenge. Following their discharge from the service upon returning home from their overseas deployment, many of our veterans are now grappling with issues such as unemployment, poverty, physical and mental health issues, lack of support, and homelessness. After everything they have gone through – leaving their family behind and risking their own lives to save ours – it’s really unfair that they’re not getting the proper treatment they rightfully deserve. This is why Veteran Car Donations exists. We are committed to serving those courageous individuals who volunteered to join our armed forces and fought for us to preserve our rights and protect our nation’s security in the war-wracked countries where they were deployed. By collaborating with reputable non-profit organizations such as Soldiers’ Angels, Home for Our Troops, Serving Veterans, Inc., and Heroes on the Water, we make it possible for our vets to enjoy another opportunity at life. When you make your Maryland boat donations with us, you enable these non-profits to provide our former military personnel the support they need. Thanks to you and your generous heart, many more of our unprivileged veterans will receive services such as physical and mental healthcare, tutoring, job training, educational scholarship, financial or housing assistance, grief counseling, and many more. 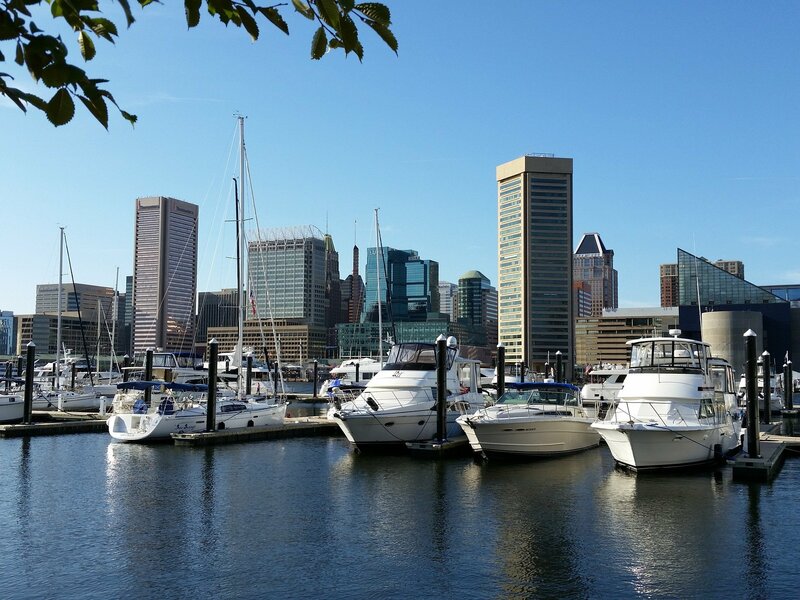 Are you planning to donate a boat in Maryland, but you still don’t have a clue on how to do it and what charity will welcome it the most and will give you the most pleasant donating experience? We might just be what you’re looking for! Here’s why. Here at Veteran Car Donations, we see to it that our donors go through a donation process that’s completely free from complications. Since you care so much about helping our former troops, we want to show our gratitude by providing you with the highest standard of service. Just tell us that you’re keen on making Maryland boat donations with us, and we’ll take care of the rest. Call us or fill out our online donation form. Provide us specific details about your watercraft. We’ll then agree on a time and date for its pickup. Please take note that you won’t be paying a single cent for the entire donation process. The towing fee is on us. Your boat is towed away. A professional towing company affiliated with us will come to haul off your boat, normally a day or two after you made the call. You don’t have to be around at the time, so don’t worry about missing an important appointment. The towing company will give you a donation or tow receipt acknowledging that your boat was picked up for donation. This releases you from all liability on the vessel you’re donating from that point forward. Your donated boat is then auctioned off, with the proceeds going to our partner non-profits. Get your maximized tax-deductible sales receipt. Expect a tax-deductible sales receipt in your mailbox within 30 days after we sold you donated watercraft. Use this receipt to claim your tax deduction. The receipt will indicate your donated boat’s final selling price. This will serve as the basis of your tax deduction claim when you file your itemized federal tax return. Choosing a donation program in Maryland that offers several incentives to donors can be quite difficult, especially if you’re not sure of an organization’s legitimacy. With Veteran Car Donations, you are guaranteed of a 100-percent reliable program that provides a range of benefits for donors. Receiving huge tax deductions and going through a hassle-free donation process aren’t just the only good things that will come out of your Maryland boat donations. You get to save more money now that you’re free from insuring and restoring your boat. You don’t have to experience the stressful process of advertising and negotiating in trying to sell your boat. Handling paperwork wouldn’t be a problem either, as we will take care of the entire processing of your tax documents. You can finally get rid of a watercraft that serves no purpose anymore, and you’ll be doing it for free! You’ll feel a sense of joy knowing that your Maryland boat donations will make a huge impact on the lives of our former service members and their families. Do these benefits sound promising to you? Get going and make that boat donation now at 877-594-5822! Another reason you’ll enjoy working with us is the fact that we accept almost all types of watercraft for our Maryland boat donations program. We’re talking about catamaran boats, motorboats, yachts, cabin boats, cruise ships, and even jet skis. As long as your boat can be sold so that its proceeds can be used to improve the welfare of our vets and their families, Veteran Car Donations will gladly take it. In case you’re uncertain about the eligibility of your boat, just give us a call. We’ll be happy to entertain whatever inquiries you have. You can also have a look at our FAQs page to learn more about Veteran Car Donations. Now that you’re fully aware of what we are and how significant boat donations are, why not give us a call right now at 877-594-5822? Let our impoverished veterans and their families know that you care for them with your Maryland boat donations. Donate to us now!